Our industry has faced many challenges and changes over the years, and we know that to ensure continuing success, our evolution must be a constant. And just as our company has adapted to evolving circumstances in the past, our name is also evolving today, marking the beginning of a new era for our business. 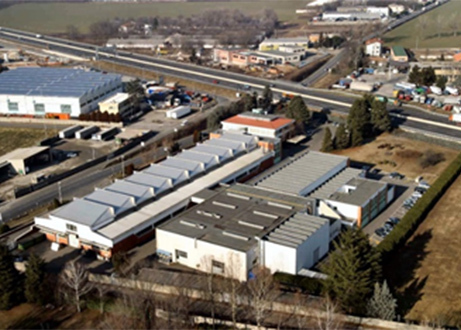 For this reason, in order to open a new chapter in our long history, Sampsistemi is glad to inform you that the name of our company Euro Extrusion has been changed into Sampsistemi Extrusion, with immediate effect. You will continue to rely upon the same trusted and well-known management team. In addition, we can now count on a brand-new Technology Center located in the Milan area and completely dedicated to all R&D and production activities related to the extrusion applications. There will be no disruptions in any of our business or operations, therefore resulting in a seamless transition. All other contact data (telephone, fax, mobile numbers, etc.) remain unchanged. Our offices are at your disposal for any further information you may require. Please do not hesitate to contact us in case of questions. We look forward to continue serving you and trust you are as excited about the future as we are at the new Sampsistemi Extrusion.